When I think of “best film”, I’m looking for something that is consistently high quality. Not something like Fan, which is shockingly brilliant but with a few moments that just felt slightly off. Or something like Udta Punjab, where certain plots or characters were stronger than others. Or even Dear Zindagi, where the entire film was well made, but the overall theme and point could have been stronger. Or Pink where it felt like certain parts of the script or character or performance were less than perfect in order to help support the overall theme and point. No, I wanted something that was perfect straight through. And that’s Neerja. Sonam’s performance and Shabana’s are the heart of the film. But everyone surrounding them not only also put in perfect performances, but felt like full characters, from her brothers to the plane passengers, you could sense a backstory and a whole life sketched in behind them. At the same time that the characters are full and real, they are also respectful to the real story. The thing I can’t get over, well, one of many, is how they handled the real Neerja’s divorce. It would have been so easy to not address it, or even pretend it didn’t happen. But instead, they used it, to show how it gave her strength, how it changed her family, how heroes don’t have to be “perfect”, they can have issues and problems in the past, and that doesn’t change what they did in the present. That we should honor the whole person, not just some vision of what they should have been. Speaking of vision, the directing of this film was amazing. It was made on a tiny budget mostly on a tiny set inside an airplane. But it doesn’t feel like they had a tiny budget, or anything besides the exact budget they wanted, everything is done in the best possible way. And I trust it would have been the same had the budget been a hundred crore. They wouldn’t have given in to the temptation to set a fantasy song abroad or have a massive explosion shot. Instead, they would have kept it to this tiny claustrophobic set. Well, two tiny sets, the airplane and the family home. Because that is the right decision and the right way to tell this story. And the same concern with telling it right is in every decision. The way Sonam’s make-up wears off over time. The romance novel put next to Neerja’s bed. The photos in the family album including real childhood photos of Sonam. Everything is done with such care. Whenever a film like this is made about a real life story, everyone always says that they just wanted to honor the real person, and so on and so on. But of course that’s not always true, like in Airlift which ended up combining multiple people into one character with a different name. And sometimes they get confused between honoring and pleasing the real person, like in Dhoni with the white-washing of his issues with his brother. In this case though, it really felt like start to finish all anyone cared about who worked on this movie was Neerja Bhanot and honoring her spirit. Like everyone from the set designer to Sonam herself felt as though they were performing a sacred duty to her memory. When Aamir was promoting Dangal, he talked a lot about how close he is to Mahivir Singh Phagot and his daughters. They came to a special screening and he was touched by their reactions. The film ended with their photos and a description of their accomplishments. And this is all very nice and I am sure it was very sincere. 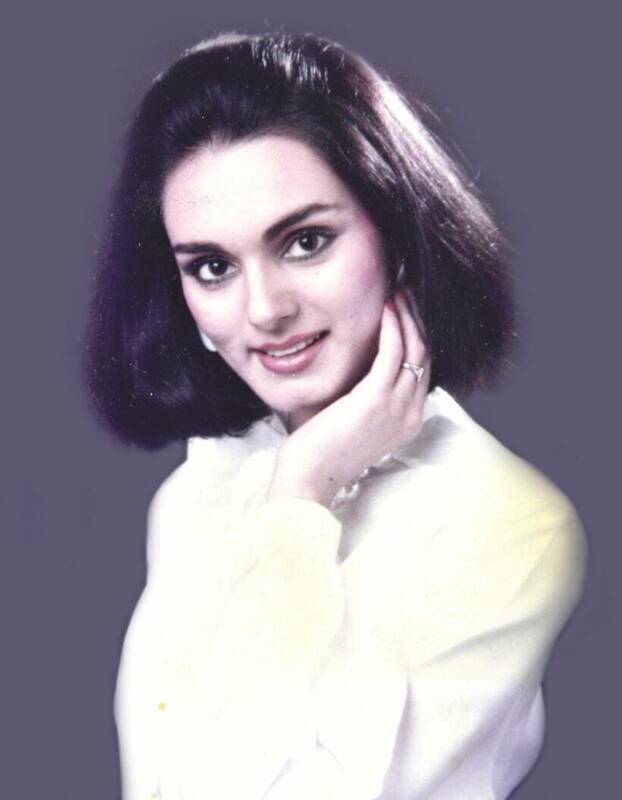 But Neerja ended with photos of Neerja from her life. Not from her moments as an air hostess or a model, but as a little girl, as a daughter, as a sister. And it ended with a photo of her family, still with that hole in the middle. This isn’t a film made to honor her actions, but to honor her spirit, herself as a whole real person. And that dedication, that spirit, is what helped make this film into the surprise hit it became. It was made perfectly, it was promoted with a focus on discovering Neerja’s story not on the film itself, and the audience reacted to Neerja herself as she was shown onscreen, not to the flashy camera work or catchy songs or any of the rest of it. This entry was posted in Uncategorized and tagged 2016 Awards, Best Film, Dangal, Editors Choice, Fan, Neerja, Uncategorized by mredlich21. Bookmark the permalink. That little typo is confusing. Shabana Azmi played Sonam’s mother in Neerja. Shobhana is the lead actress in Manichitrathazhu, Innale etc. Thank you so much! I’ll fix it right now. By the way, check out this article on Aamir Khan by Baradwaj Rangan. I’m sure you’ll find it interesting. Thanks! I love interesting articles.